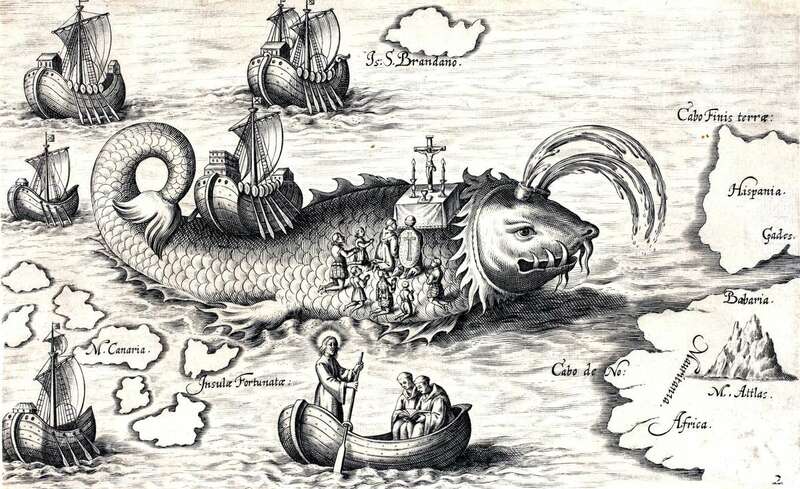 St Brendan saying mass on the back of a sea monster, 1621. ANMM Collection 00019658. Whilst Halloween slowly approaches, its pretence of horror and worn out ghoulish clichés appear again. Pumpkins and cobwebs adorn houses and plastic skeletons dance limply off front fences. No doubt witches and vampires have their earned their scary credentials but the forced spookiness of the season only makes it feel like a poor cousin to where real horror exists. Offshore. Seafarers have long envisioned monsters of the deep. Long hours at sea have provided ample opportunity for imaginations to run wild and tales to be told of mythical beasts and horrors that await on unknown shores. It is easy to see how whales, giant squids or sharks loomed large and menacing to sailors far from home in wooden boats. Knowing legends and believing superstitions could mean the difference between a crew’s survival or being lured to certain death. 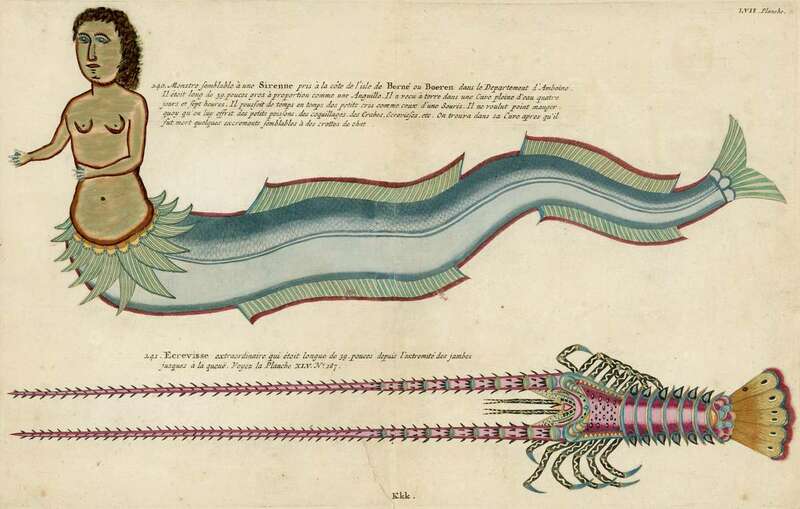 An image from Louis Renard’s book ‘Poissons, Ecrevisses et Crabes’ of 1754. In the book the mermaid is described as being a 1.5-metre long ‘monster resembling a siren’ with eel-like proportions. ANMM Collection 0000393. Slowly as knowledge grew, the leviathans turned out to be whales, the mermaids disappeared and reefs were no longer the stealthy killers they once were. But the greatest monster remained, true as it ever was. The sea itself. And this monster needed no embellishment around a campfire or whispers in the dark. The reality of life at sea was terror enough. Engraving showing passengers and crew of The Nancy, wrecked off Sicily in 1784. The woman in the image is believed to be Ann Cargill who perished along with all other passengers and crew. It was rumoured that when Ann’s body was discovered, she was still clutching her child. ANMM Collection 00036378. Can any vampire story rival the firsthand account of a true shipwreck for heart-pounding horror? Survivors tell of the deafening noise of smashing timbers and roaring waves. Pitch blackness and passengers screams. Daylight would bring none of the relief that occurs at Halloween. Clinging to wreckage or rocks, survivors were still at the mercy of the sea and in their shock must have wondered how their story had ended so terribly. Every whalers nightmare, an enraged whale and nothing but a small boat between them, 1840. ANMM Collection 00000430. 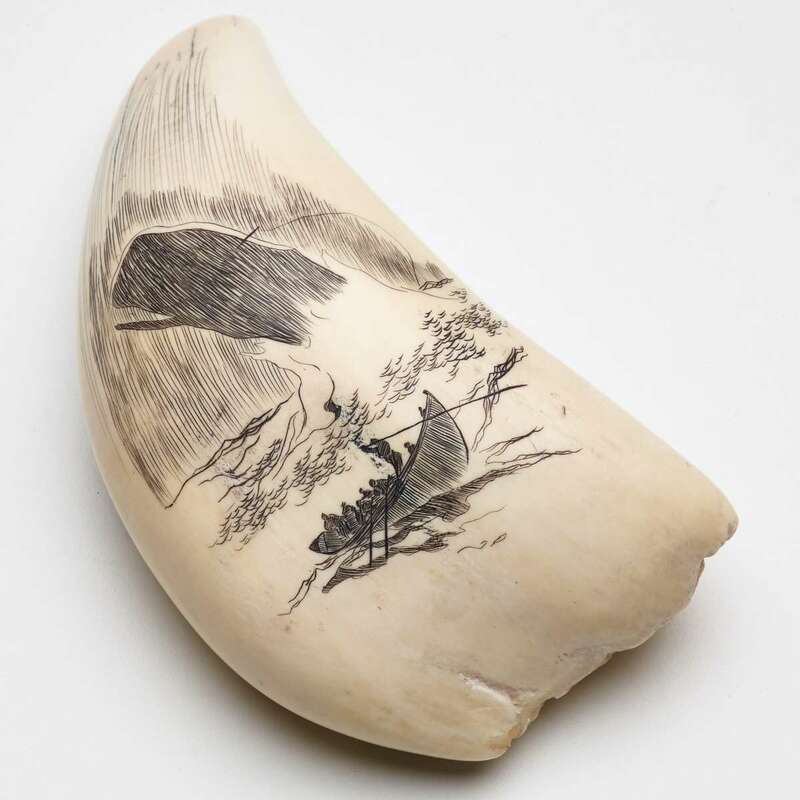 The true tale of an encounter with an enraged whale could also surpass a ghost story as an experience to keep you up at night. There have been few more terrifying sentences uttered than Owens Chase’s “We have been stove by a whale”. So simple yet hinting slightly at the horror that was about to unfold. Like the best Halloween stories, Chase’s true story of the sinking of the ESSEX kept going, getting worse at each excruciating turn. Even years later, the real-life trauma was too terrible to speak of out loud. 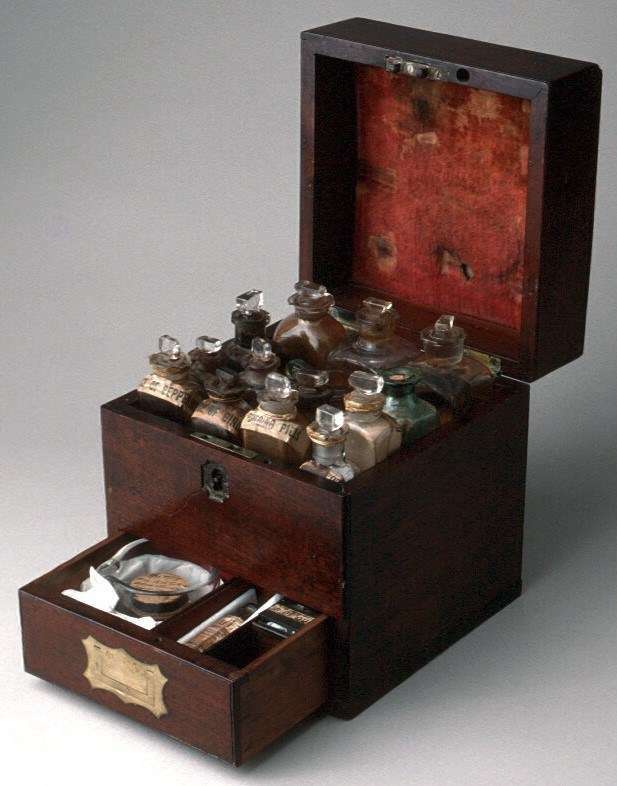 A 19th-century medicine chest containing lotions and potions (and a fair bit of luck). ANMM Collection 00006090. And even if you were at sea only briefly, such as an immigrant in the C19th, it was an experience that was more death defying than outrunning a zombie. A ship’s medical chest in the ANMM collection shows implements akin to torture rather than aid. Pliers, clamps, saws and knives are packed in neat rows and would have done little to alleviate a passenger’s fear. To be treated by the ship’s doctor using these tools is a reality far worse than a mad scientist. 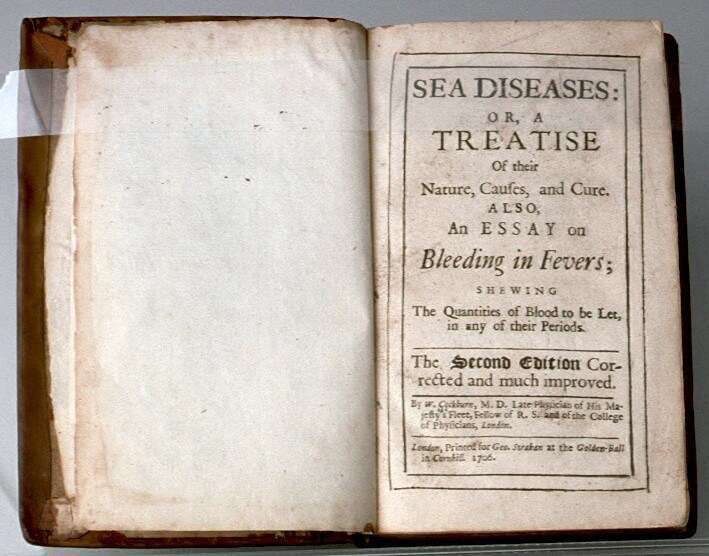 Of course, not all maritime horror stories are in the past. 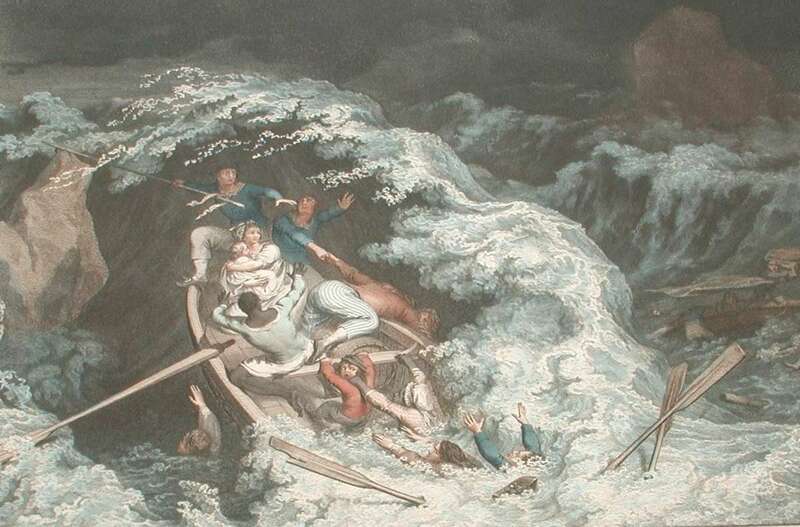 Gales, enormous seas, knock downs and fatal storms are all real monsters that continue to chase sailors. Nothing in fiction could be more terrifying than facing down these demons of the ocean. Yet these experiences are part of the challenges for those at sea. That these stories are real makes their victims infinitely braver than those people in horror films who go back into the house while you yell at them to turn and run the other way. No, seafarers have no need for Halloween tales and gaudy theatrics. Those are just made up stories to curl the toes of those of us on land. Do you want a real thrill and fright? Head to sea. 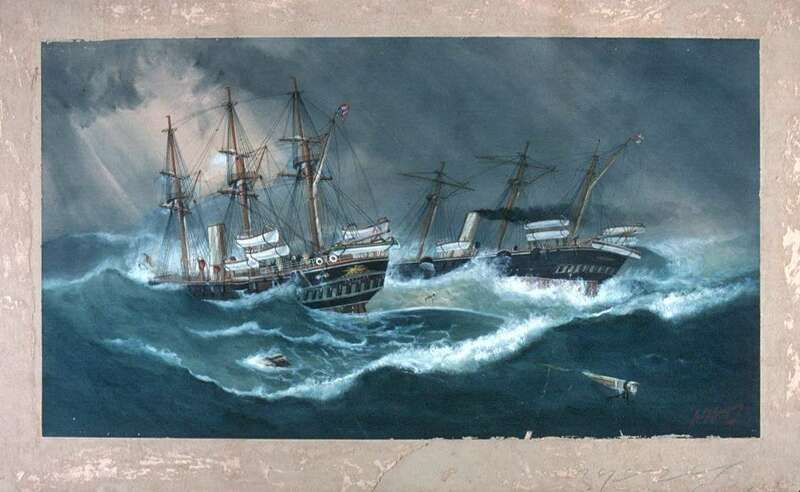 Painting by Captain Henry Press of a gale at sea. Terror enough for seafarers, no witches needed. ANMM Collection 00003927. Got a craving for more haunting historical tales? Why not check out our collection online (Warning: you might lose a few hours doing this).